Though pediatric orbital tumors are rarely encountered outside referral centers, ophthalmologists must maintain a strong familiarity with these entities as efficient diagnosis and treatment are often paramount for optimal outcome. Most pediatric orbital tumors are biologically benign, but depending on their growth rate and anatomic location, benign tumors in the orbit can lead to vision loss, disfigurement, and even death. In this chapter, we review the literature on and discuss the most common benign and malignant orbital tumors in the pediatric population. We discuss tumor presentation, imaging characteristics, histopathologic appearance, treatment, and prognosis. 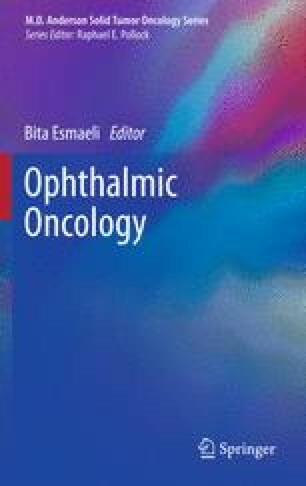 Retinoblastoma and rhabdomyosarcoma are extensively discussed in other chapters in this book.